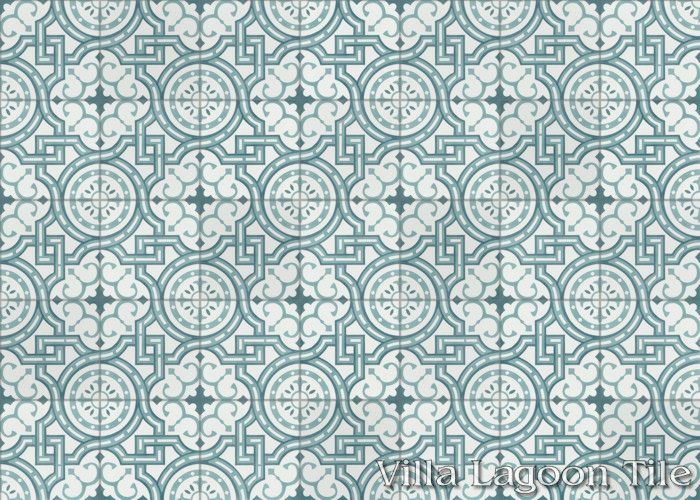 This is a 5-color 8" cement tile, using White, Misty Gray, Mountain, Washed Denim, and Deep Inlet from the South Beach Palette. 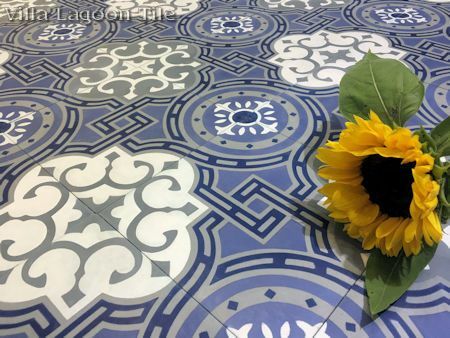 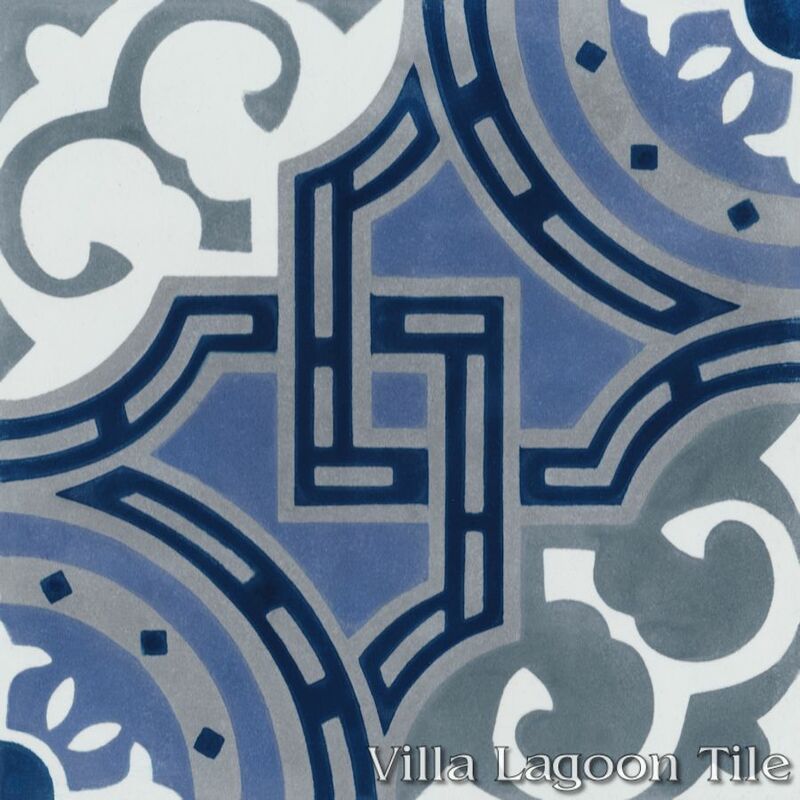 This original Villa Lagoon Tile cement tile pattern was custom created to match a client's needs. 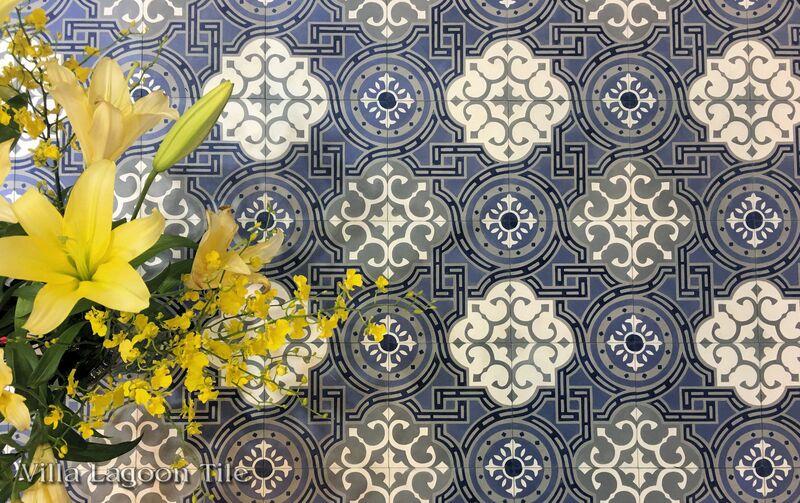 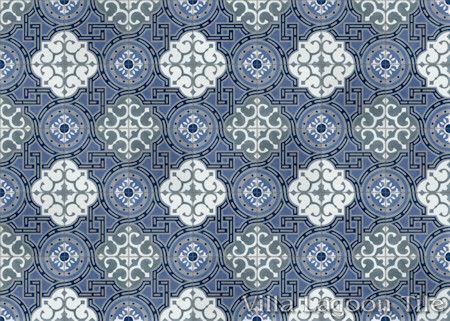 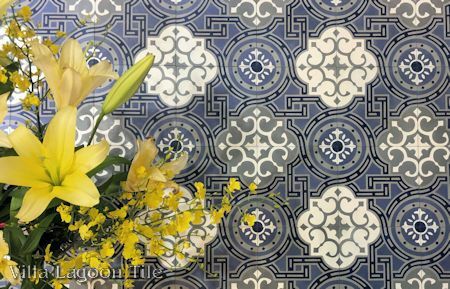 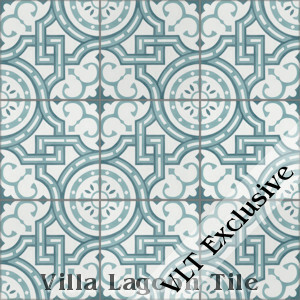 We combined several traditional cement tile elements to create a new cement tile in the classic style. 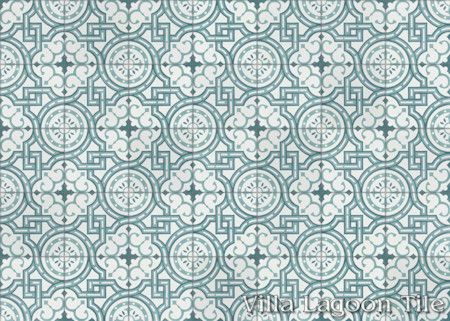 Outlined trellises weave through each other, creating barbed quatrefoils, circles, and squares. 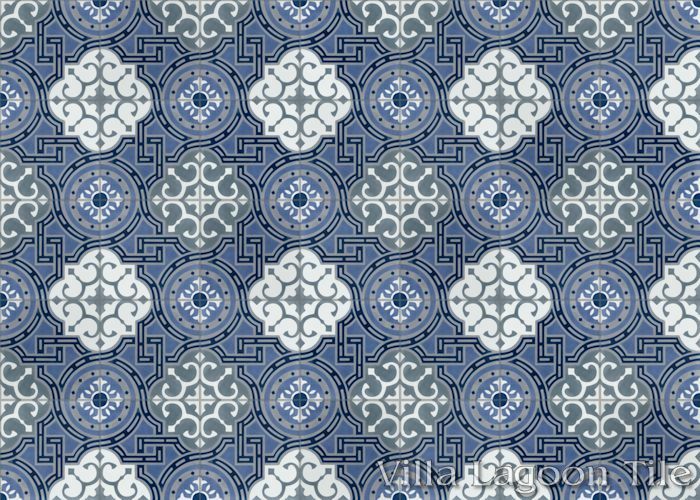 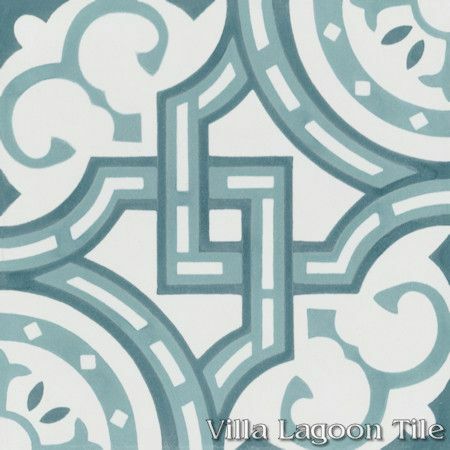 Villa Lagoon Tile's "Michael" cement tile pattern using White, Stone Blue, and Velvet Sky from the South Beach Palette. We sold this production as "Michael Velvet Sky". 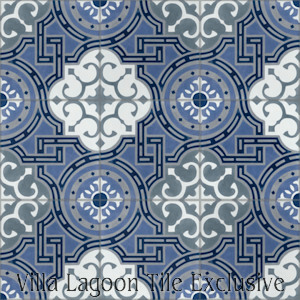 While we have discontinued this colorway for in-stock tile, it will always be available as a custom order.